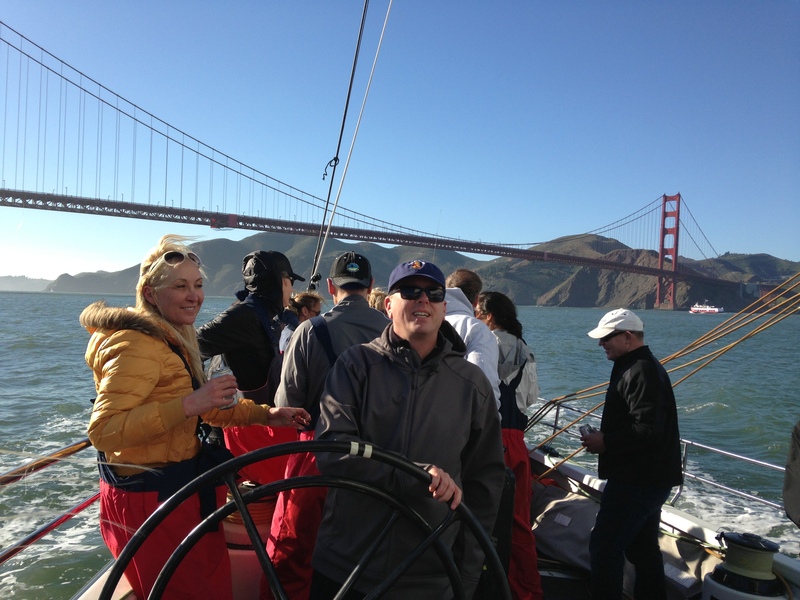 Great day sailing yesterday in San Francisco on the US 76 – one of the retired America’s Cup yachts once owned by Oracle Racing. These boats have incredible power through the waters. I wish tacking was as easy in technology as it is sailing with a great crew. Thanks to team Los Gatos for a great day on the water. With the new twin hulls for the America’s Cup being held on San Francisco Bay in August, with New Zealand, Italy and Sweden challenging the USA, it will be great racing on the Bay. The course is from the Golden Gate, to Crissy Field and past Alcatraz and back again with multiple laps. It will be a great sporting event this Summer.